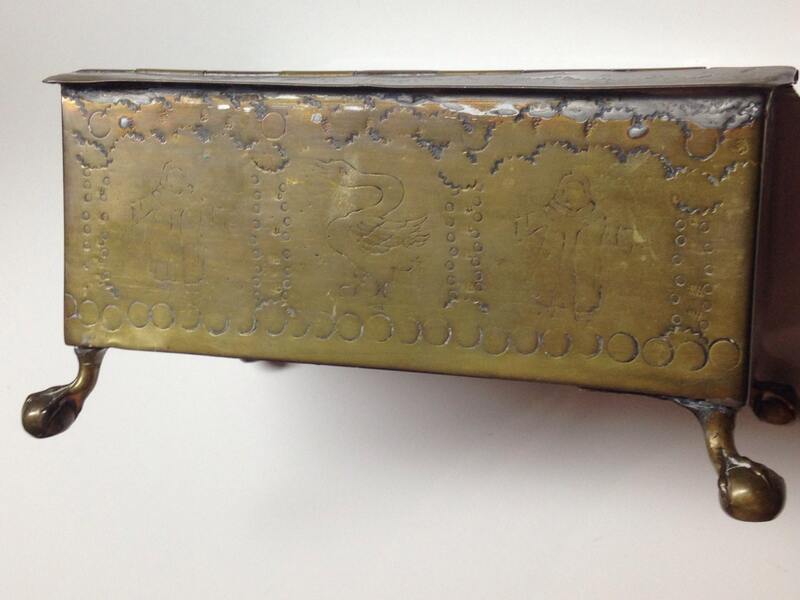 This brass tea caddy or casket was produced in Netherlands, ca. 1800 (perhaps a bit later). Brass construction. No marks except nice hand engraved patterns of geese, lighthouses, people, ships. 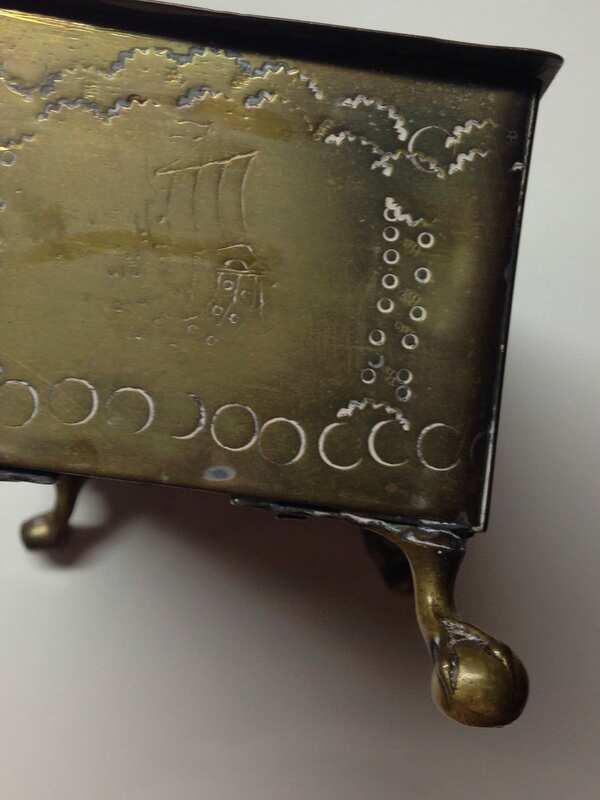 Nice little brass claw feet. All original with a lot of patina. Can ship polished upon request. 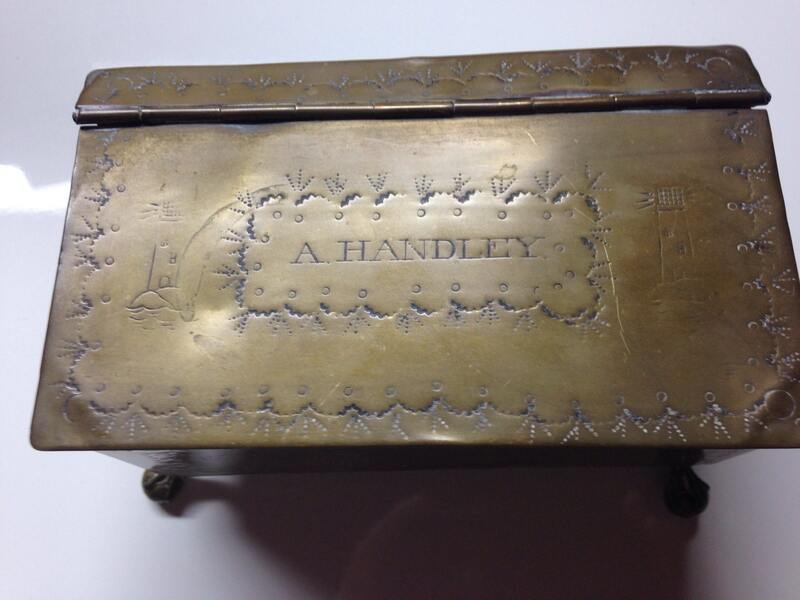 This antique brass Dutch box is engraved with the owner's name "A. Handley". 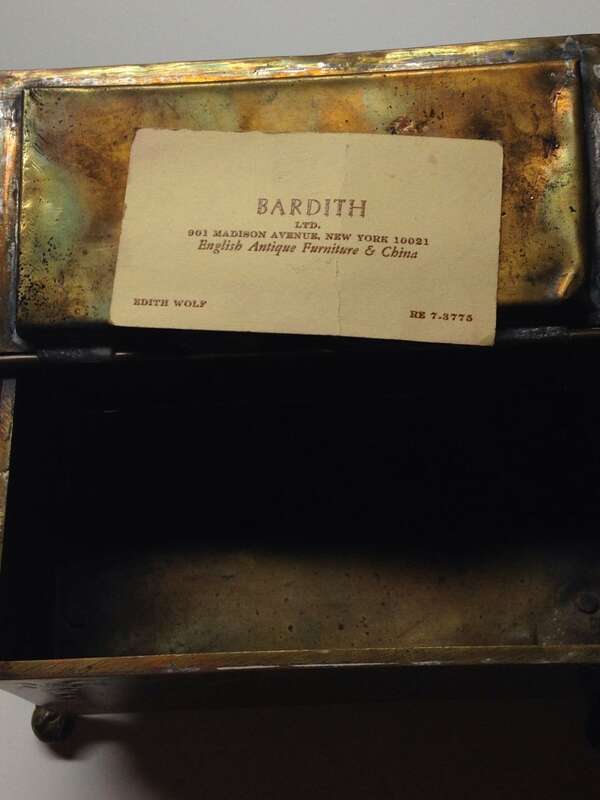 The box has a card in it from a high end Madison Avenue, New York antiques dealer. Edith Wolf was a legend having several write ups in the New York Times for her expertise. The shop still exists under her son who has no knowledge of the box or sale which his mother likely sold in the 1950s. 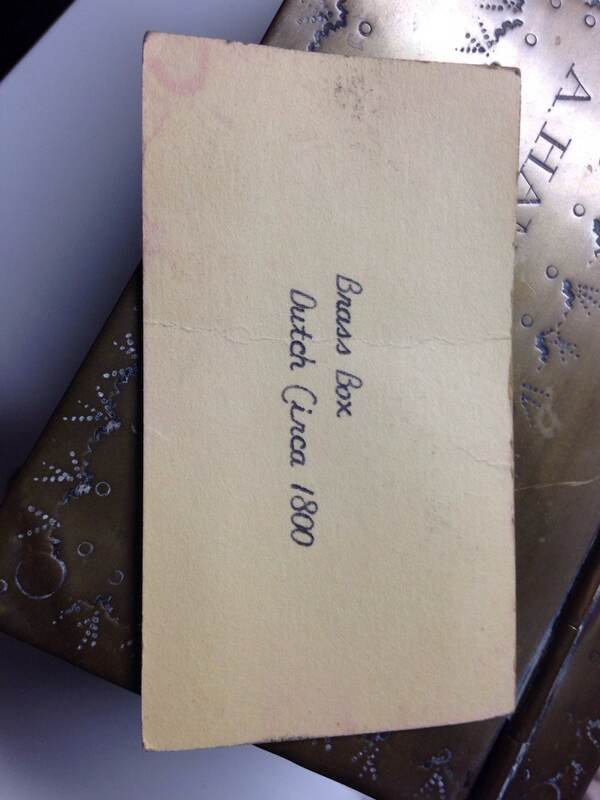 The reverse of the card has the following typed message: "1800 Dutch Box". Dimensions: 3" x 4" x 6"